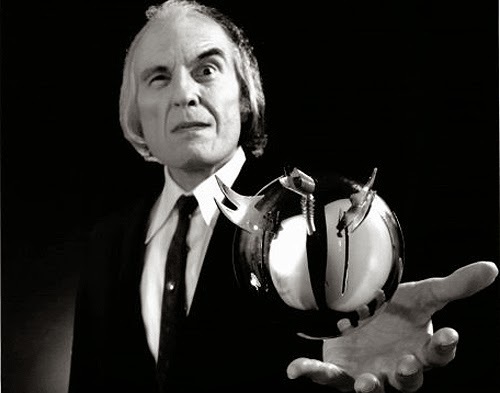 Raz's Midnight Macabre: PHANTASM V IS COMNG! I CAN'T BELEIVE IT, IT'S FINALLY HAPPENED! So yes, we've waited a heck of a long time, so long that I thought that this would be one of those films that remains in development hell and would maybe get a release as a comic series or a t.v. project, we've been there and seen it all before. The project has been filming little by little since 2008. The original working title for several years was "Reggie's Tales". It was partly filmed in Crestline, CA at Reggie Bannister's own home. Many of the familiar series elements are back... the 'Cuda and the sphere especially. The Lady in Lavender will be making a return appearance. Don Coscarelli did NOT direct the film. 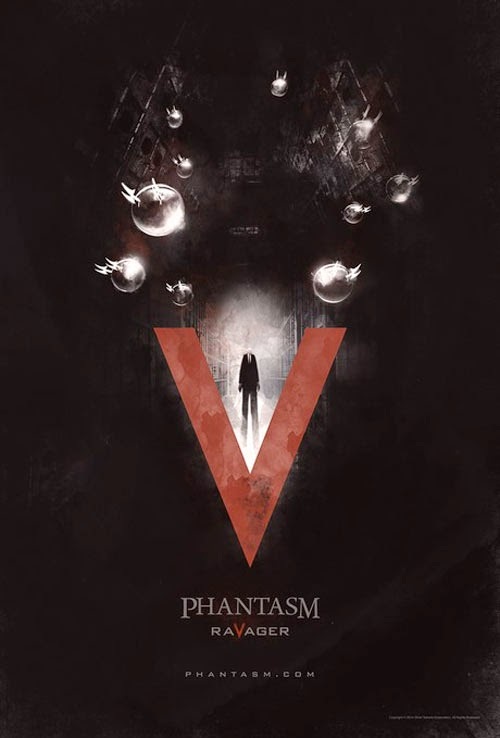 "Phantasm V: Ravager" was written and directed by David Hartman under the supervision of Coscarelli. 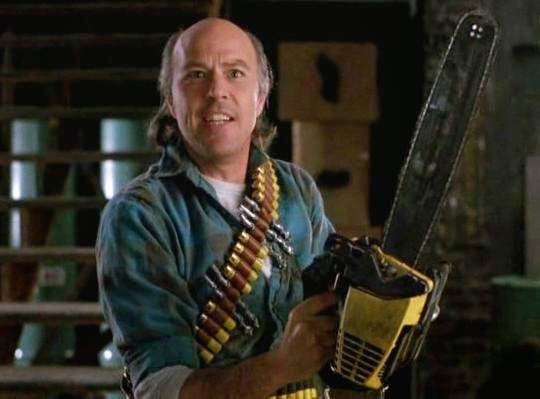 Despite the disappointment that Coscarelli didn't direct he has overseen the project and we can all breath a sigh of relief with the news that Angus Scrimm, Reggie Bannister, Bill Thornbury and Michael Baldwin will all be returning!